Features of the Mickey Mouse Runner. Smooth upper with Stretchy laces and adhesive strap ensures a good fit. Special features that light up with every step. Character graphics. 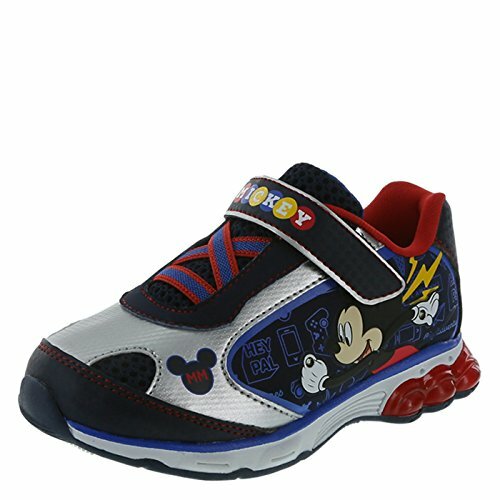 Padded tongue and collar with Soft lining, padded insole, and durable outsole. Manmade materials.